Do I have to pay to use SunsetOnline? What sort of degree or certificate is offered? What is Sunset International Bible Institute? What is the difference between auditing a course and taking it for credit? What is the cost of courses at SunsetOnline, and what is included? How long does my enrollment in a course last? Is it possible to extend my enrollment in a course? Is there an application for the Bachelor of Biblical Studies degree? I registered for an account on SunsetOnline, but never received the confirmation email that allows me to login. I forgot my password; how do I go about resetting it? How long are each of the lessons in a course? Is there any difference between the video and audio lessons? What should I do if I'm having a problem trying to take a course, or something is not working right (video, audio, etc.)? How do I print or enlarge the lesson outline? I have taken Sunset Satellite School Level 2 classes. Can I take any of these courses as Level 2? What is required in a Research Paper/Book Evaluation? Do I need to submit the "Self-Exam" Questions at the end of some of the lessons? What are the hardware requirements for my computer? What are the software requirements for my computer? Do I need to have Real Player, Windows Media Player, Quicktime, or Flash? I am getting errors about cookies not being enabled in my browser. How can I enable them? The video isn't working -- nothing shows up on the left side on video lessons. The video isn't working -- the video player appears, but when I press play I only hear the audio, there is no picture. The video isn't working -- all I see is a message that says "connecting..."
In the video lessons, the video is choppy, keeps pausing, or keeps starting and stopping. In the video lessons, I can't hear anything, or I can hear it but it is very low. The audio player isn't working -- I don't see an audio player at all on audio lesson pages. The audio player isn't working -- the player appears, but the play button doesn't work. I tried to take an exam, but nothing happened; it never came on screen. We have made the first lesson of each course available free for you to preview and enjoy. There is a fee to take courses for credit, as well as for other audit courses. See below for more details on course pricing. Credit courses also have required textbooks which must be purchased separately. Students who take courses for credit may work toward a Bachelor of Biblical Studies from Sunset International Bible Institute. This is the same degree that is awarded to graduates of our Residential Studies division at our main campus in Lubbock, Texas. No credit is awarded for auditing a course, and so there is no certificate available to audit students. Sunset International Bible Institute (SIBI) is a Bible and ministry training institute that was founded in 1962. Based in Lubbock, Texas, SIBI has trained thousands of individuals over the last 48 years through its residential campus in Lubbock, its branch and satellite schools around the world, and its extensive correspondence learning program. To learn more about SIBI, please visit www.sibi.cc. Audit courses are designed for those who want to learn and grow but do not want to pursue credit for their learning. There are no assignments, tests, or other requirements in audit courses. When you enroll in a course for credit (as opposed to audit), you are allowed to access the course for a significantly longer period of time. This allows you to take your time learning the material, working on the requirements for credit, and preparing for exams. The first lesson of each of our courses are offered free of charge for your preview. Full Audit courses are $25 each. Audit courses include full streaming video and audio for each lesson, as well as an online study outline. Credit courses are each 3 credit hours and are $135 ($45 per hour). This includes the same streaming video and audio as the audit courses. Credit courses also include course requirements which must be completed in order to pass the course (see the question above for detail), grading of assignments by SunsetOnline staff, and a grade book to keep track of your grades in the course. Most importantly, every credit course that you pass earns you credit on your transcript at SIBI. Note: Tuition prices for our audit and credit courses are subject to change without notice at our discretion. Note: Any required textbooks for credit courses are not included in the price. Your textbooks must be purchased separately. The "Credit Requirements" page for each course lists the required textbook(s) for the course along with links to purchase them online from extensionschool.com (the online bookstore for sunsetonline.org). The combination of enrollment durations and prices (listed above) for our courses are a good value compared to other higher-level online courses that are available out there. There may be certain circumstances, however, in which a student who has enrolled in a course might want to ask for an extension of that enrollment as it nears its expiration. Such requests are handled on a case-by-case basis, and should be submitted by contacting the SunsetOnline Student Office and stating the particulars of your situation. Yes. Scholarships are available for prospective students who otherwise are not financially able to take credit courses online, especially those outside the United States. These scholarships are available for credit enrollments only, not for audit. To learn more about scholarships and to see the application forms, please see the SunsetOnline Scholarship Info page. Yes, the application for our online Bachelor of Biblical Studies degree is now available for you to fill out. We would encourage you to go ahead and fill it out now and begin your studies. Your application will be approved upon review. The classes you take for credit until approval will count towards your online degree. If you have spam filtering on your email account, please ensure that you can receive email from sunsetonline.org. Otherwise, you may not receive the confirmation email that was be sent when you registered. We have experienced this problem with several AOL email addresses. First, check your email reader's junk/bulk mail folder. Most email readers (including Hotmail, Gmail, Yahoo, AOL, Outlook, and Thunderbird) have junk mail filtering that can sometimes mistakenly filter out your account confirmation email. Look for an email in your junk/bulk mail folder with the subject "SunsetOnline.org: account confirmation". We have experienced some email providers who refuse to deliver our messages. Contact SunsetOnline technical support immediately so that we can confirm you before your initial registration expires. If you still can't find the confirmation email, it is possible that you had a typo in your email address when registering and it never got to your email in the first place. Contact SunsetOnline technical support and include the following: your name, your email address, and the date that you attempted to register on the site. Go to the Forgotten Password page and enter your email address. This must be the same email address you used when you created your account on SunsetOnline, and must be an address that you still have access to. Click the "OK" button. The page will reload and confirm that an email has been sent to your email address with a link that you must click. Check your email and look for an email with the subject, "SunsetOnline.org: change password confirmation". Click the confirmation link within that email to confirm that you want to reset your password. Clicking the link in the previous step will bring you to a page confirming that a second email has been sent to you that contains a new, auto-generated password for you. Check your email again and look for an email with the subject, "SunsetOnline.org: Changed password". In the email you will find your username as well as your new, auto-generated password. Username - your username, as included in the email from step 3 above. Password - your current password, which is the auto-generated one that was emailed to you in step 3 above. New password (twice) - type a new password of your choosing, that you would like to change to. Most lessons are between 25 and 30 minutes in length (same for video and audio). Of the hundreds of lessons we are making available from our various courses, only a handful are longer or shorter than this, and only be a few minutes at the most. The video and audio versions of each lesson are identical in content and in length. You can think of the audio version as simply being the video version without the picture. The audio version of the lesson is much easier to use on slower internet connections and slower computers. If you are on a dial-up internet connection, or if you are otherwise having trouble watching the video, you should probably choose the audio lessons. If you are having technical difficulties trying to take a course, please consult the questions in the Troubleshooting section of this page. If your problem is not addressed there, or if you're still having the problem after trying the solutions offered there, please contact the webmaster. 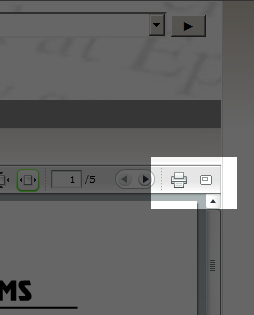 In the top right part of the outline are 2 buttons, the first is to print and the second will make it fullscreen. This will open a new window with just the outline. You cannot print using the normal print command in your browser. Taking a Level 2 class means you are taking a class at a level between full credit and audit. It has limited reading, papers, and other requirements. We do not offer our courses at Level 2. Read this excerpt from the Satellite School Handbook for details on writing papers. No, the questions in the Study Guide are for the benefit of the student and do not need to be turned in and do not count towards your grade. Note: The above are approximations only, and it is possible that the site will still work with computers that don't meet the above specifications. This may be especially true for our streaming audio lessons, which are less demanding than streaming video lessons. Your browser must be configured to accept cookies. Again, most web browsers are already configured this way, but if yours is not then you will not be able to log in to the site. Any pop-up blocking (whether built-in to the browser or through an add-on such as Google Toolbar) must be configured to allow pop-ups from sunsetonline.org. This is necessary for the exams and other areas of the courses. Users of America Online, Compuserve, Juno and other providers with specialized internet software: Each of these internet providers uses a modified web browser to access the internet which may be less compatible with the video or audio lessons. To get around this problem, try the following. Make sure you have a copy of one of the regular, modern browsers listed above installed on your computer. Access the internet using your AOL, Compuserve, etc., then minimize your AOL, Compuserve, etc. window. Now open the regular browser (IE, Firefox, Safari, etc.) and go to this site at www.sunsetonline.org. This way you are using your normal internet provider (AOL, Compuserve, etc.) to connect to the internet but a good, modern browser to "surf" the internet. Do I need to have Real Player, Windows Media Player, Quicktime or Flash? No, those programs are not used at all on the new, redesigned sunsetonline.org. All video and audio playback is handled by Flash Player or by HTML5 if Flash is unavailable. Most of the latest verions of browsers, including those on tablets should be able to access the content in the lessons. A "cookie" is a small, harmless file that a website (such as sunsetonline.org) stores on your computer while you are visiting the site. It makes it possible for you to log in to a site such as sunsetonline.org and stay logged in throughout your visit. To enable cookies, simply visit this page and follow the simple instructions for the web browser you are using. This most likely means you do not have Flash Player version 8 or higher installed or you are using an older browser without HTML5 video support. This seems to occur frequently the first time you try to access a video lesson after installing Flash Player, especially in Internet Explorer. Please try closing your browser, then starting it again. Come back to sunsetonline.org and try the video lesson again. Most of the time it will work after closing and re-starting your browser in this way. This is probably due to normal congestion on the internet, and can usually be remedied by simply reloading the page. Try clicking your browser's "Reload" or "Refresh" button. You will see it get to the "Connecting..." message again, but normally after a few seconds the video player will appear. If the problem is still occurring after several page refreshes, it is possible that your internet connection is simply not fast enough to handle the streaming video. Bear in mind that we offer a streaming audio version of each lesson for users with dial-up internet connections or types of connections that are slower or less reliable. It is also a possibility that our video server is having problems as well. If you believe this to be the case, please contact SunsetOnline technical support. Your internet connection is too slow for the streaming video. Your computer is too slow for the streaming video. In this situation, you will be best off listening to the streaming audio version of each lesson rather than attempting to play the streaming video version. If you are seeing the picture on a video lesson but not hearing any sound, you probably simply need to turn up your speaker volume. Make sure your speakers are turned on, and try turning up the volume on them. If you still can't hear after turning them up, try double-clicking the speaker icon next to the clock in the lower-right hand corner of your screen (if you are on a Windows machine) and make sure the volume slider is turned up and the "Mute" box is not checked. Finally, there is a small volume slider on the right-hand side of the video player itself on sunsetonline.org; try sliding it all the way to the right. This most likely means that you do not have Flash Player version 8 or higher installeor you are using an older browser without HTML5 video support. You might have an old version of Flash Player installed. Use the instructions here to check your version and update it if needed. It might simply mean that there are problems due to congestion on the streaming media server or your own internet connection. In this case, the problem will likely go away by the next time you try to access the site. This is probably caused by some popup blocking software installed on your computer, or built in to your browser. We have particularly seen this occur with the popup blocking in Google Toolbar (a free browser add-on from Google). If you are having this problem, you will need to configure your popup blocker to allow popups from sunsetonline.org. This is done by adding sunsetonline.org to what is called a "whitelist" in your popup blocker software. For instructions on how to do this with Google Toolbar, click here.